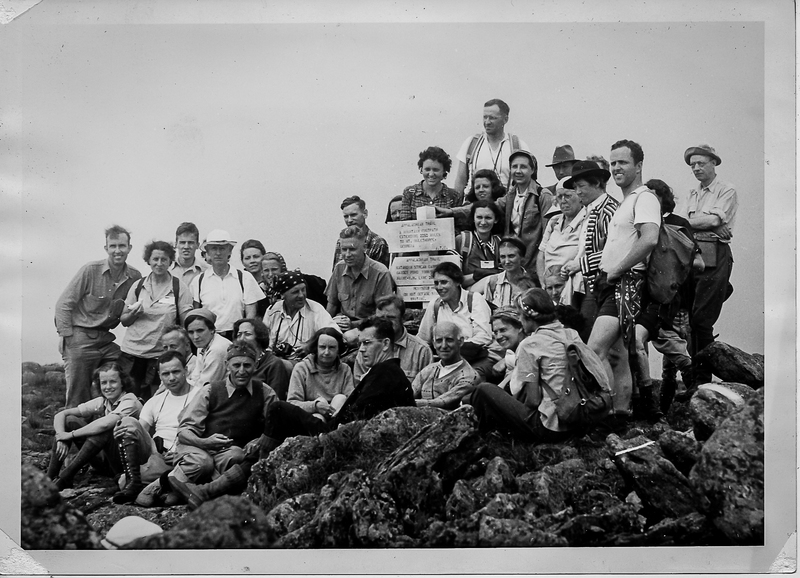 Members of a Potomac Appalachian Trail Club (PATC) day hiking group at the summit of Mount Katahdin in 1939. Of the 37 individuals in the image, 22 signed the photograph on the back. Almost half of the group is female, showing the high degree of participation in these expeditions by female members of the Club. It is also worth noting that the now iconic sign on the Katahdin summit was not there in 1939. Potomac Appalachian Trail Club Archives, Box 3, Folder "Excursions 1927-1939". 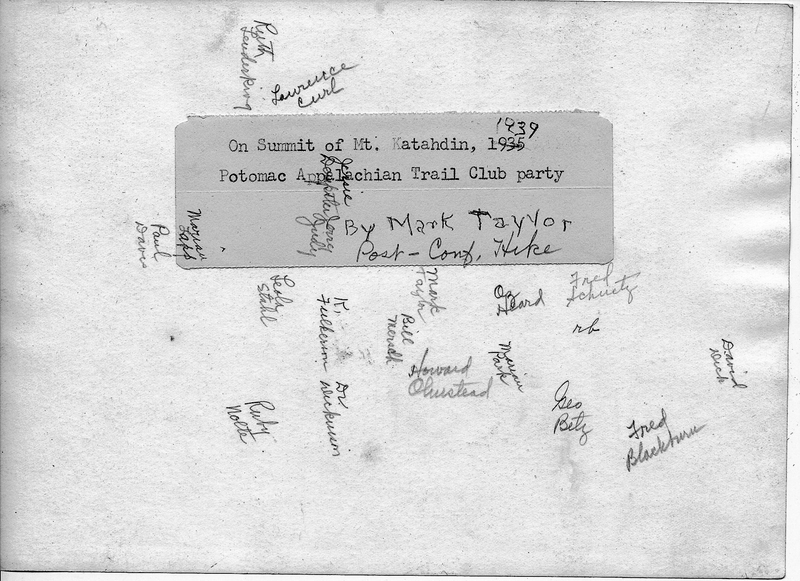 Mark Taylor, “PATC Hikers on Katahdin (1939),” Appalachian Trail Histories, accessed April 23, 2019, http://appalachiantrailhistory.org/items/show/433.